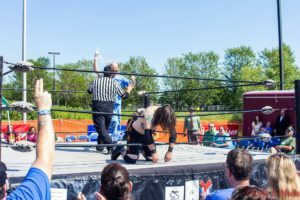 MIW put on a charity show in the parking lot of the Chanhassen American Legion on Saturday. 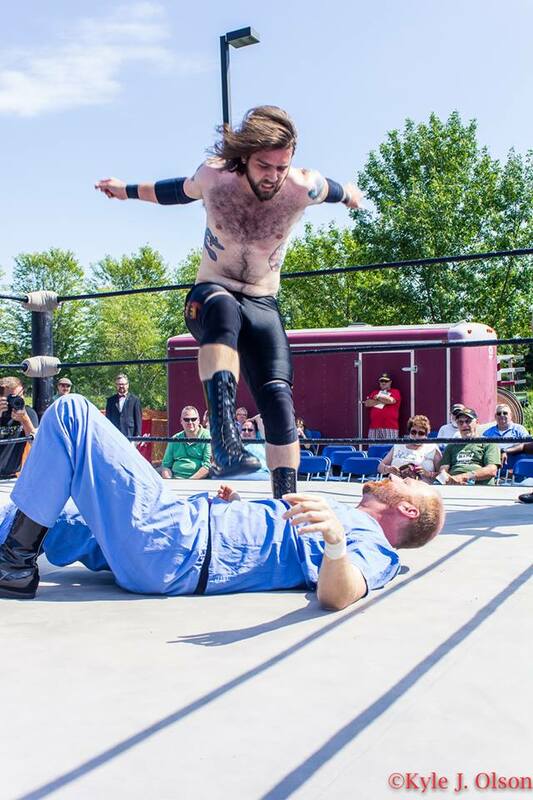 I was scheduled to ref, but ended up wresting PJ Thorn in the opening match. 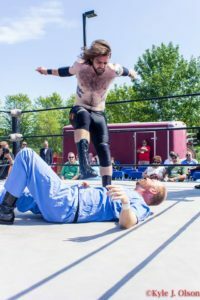 It was an afternoon show, right in the hot sun on a very hot day, but I ended up coming out victorious. And my little latex buddy came out for a breath of air. Thanks to MIW for booking me, and for those that came out to see some wrestling action and support a good cause.